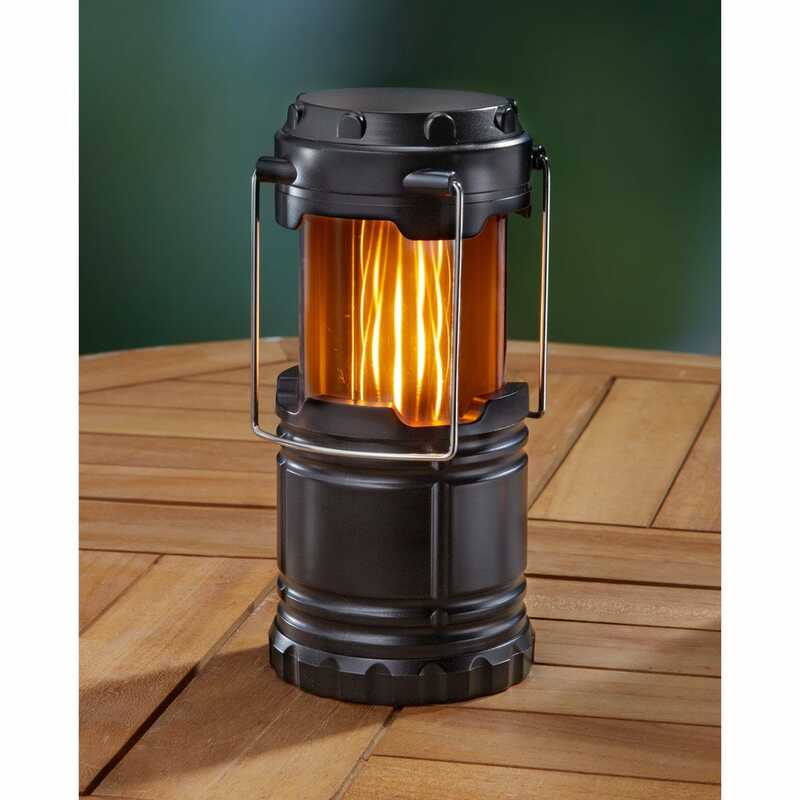 This Dual Mode Lantern will light up the room and add a relaxing ambiance with its realistic orange flickering flame LED light. Collapse and re-extend the Lantern and it switches to a bright white LED light producing 80 lumens. Lantern has a space-saving design and automatically turns on when extended, turns off when collapsed. 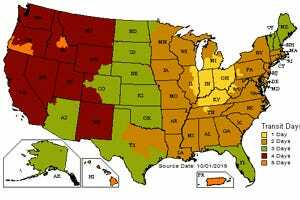 Convenient size is perfect for power outages, camping, boating, and automotive emergencies. 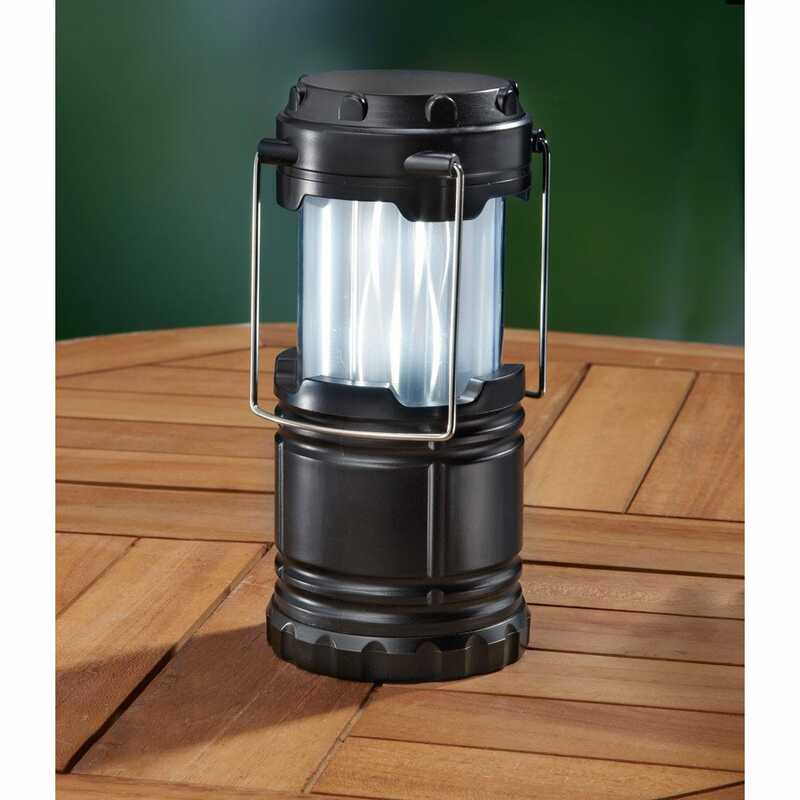 The rugged, weatherproof ABS plastic body protects the plastic globe when the Lantern is collapsed. Folding handles allow for easy carrying and hanging. Measures about 7 1/4" h when open, 4 3/4" h collapsed and is 3 1/2" dia. Operates on three AA batteries (included). The flame mode is really pretty cool. Don't think it will light your world up but is awesome to set in a dark room and watch. The clear is a little brighter but still not a powerhouse for lighting the way. Thank you for the review, Michael! We thought the flame effect was pretty nice too, a couple of them around a dark room can really change the feel. Thanks again!